This was our second time to the Big Apple -- the first trip was in 1997, for pleasure (museums, circle bus tour, the Hilton, a walk through Central Park, etc.). This trip was mainly for business, with a little bit of time allotted for pleasure. 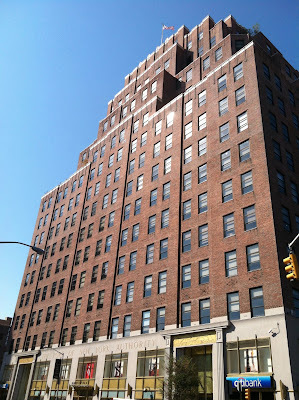 We stayed in the Chelsea District at The Gem Hotel (low-key, lovely) this time, a very short walking distance to the Google Building on 111 8th Avenue, where I spent two days training at the Google Teacher Academy. We bought tickets for a Broadway show (Nice Work If You Can Get It with Matthew Broderick -- hilarious! 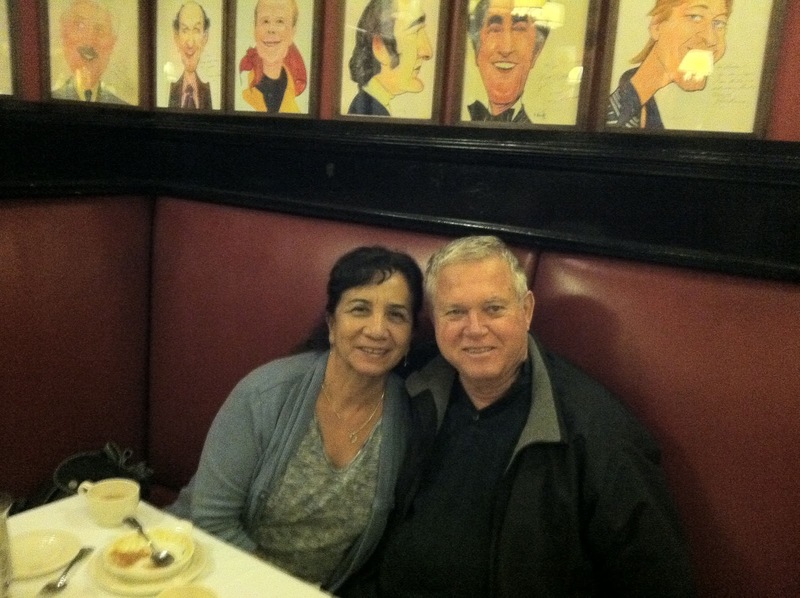 ), and ate at Sardi's as recommended by my boss. A passing diner offered to take a photo of us after our fantastic meal. 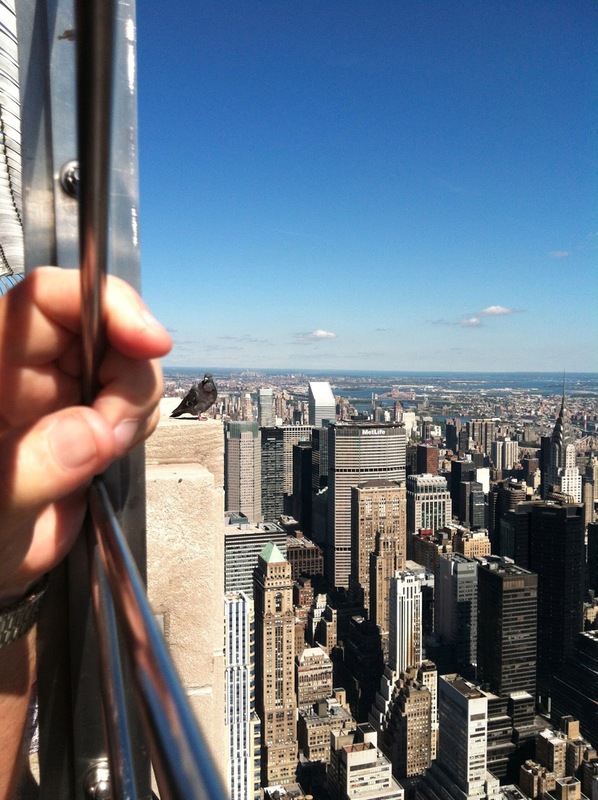 We visited the Empire State Building, because we had missed it last time. 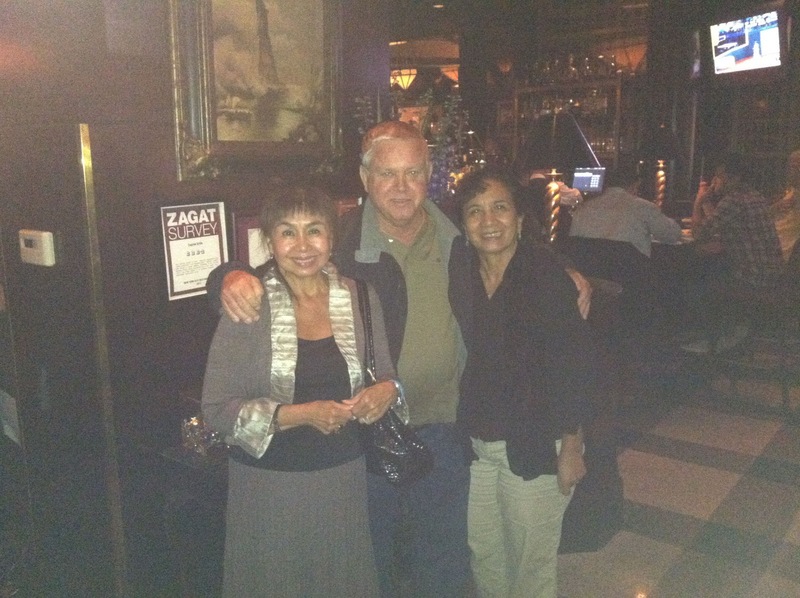 We dined at the iconic Capital Grille in the Chrysler Building, courtesy of our kind and generous high school classmate Lei, a Manhattanite for 20 years now. After our magnificent dinner, and before our short trek to the Grand Central Station. We enjoyed breakfast daily at the New Venus Restaurant, a little diner just across the street from The Gem. And the weather was open-toed shoe and layer-free beautiful. 1. Manhattanites absolutely love their dogs! There were dog walkers everywhere. (According to the New York Dog Walking blog, a dog walker can make $900 per month per dog.) 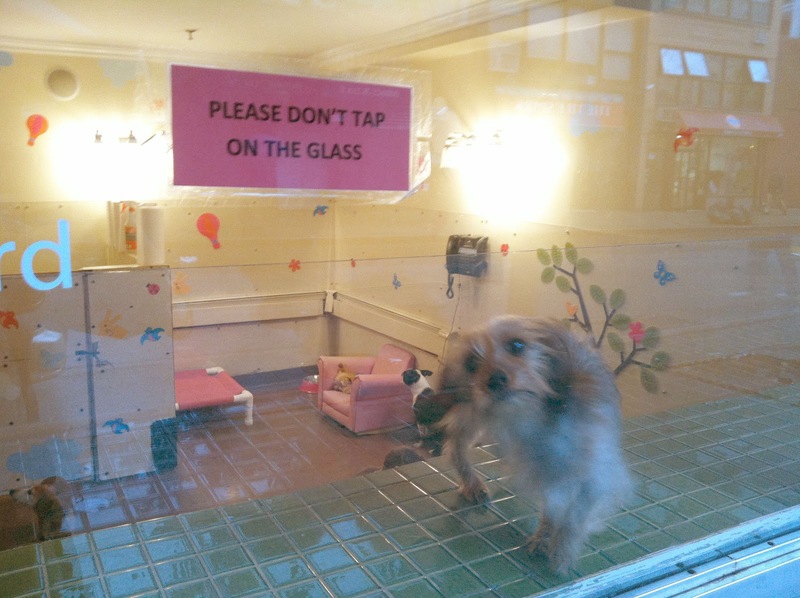 Many of the pet shops were thinly-disguised dog shops. We even saw a doggy day care center called D is for Doggy! There was a human behind the glass, on the floor, keeping the doggies company at D is for Doggy. Yelp notes that there are 5 dog daycare centers in Chelsea, and 57 in Manhattan. Dogwalkers? Seventeen are listed in Chelsea, 196 on the island. 2. 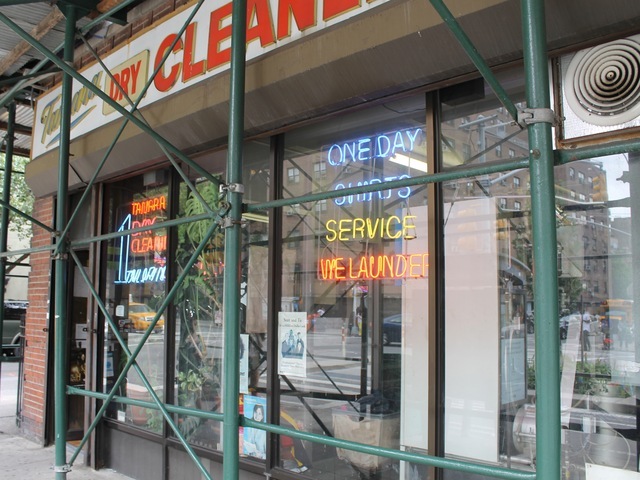 Dry cleaners do a thriving business in the City. Okay, maybe this isn't surprising given the plethora of office buildings. But many of these are mom-and-pop stores, one or two on every block. Little holes-in-the-wall, really, and all crammed with dry cleaning ready to be picked up. Yelp reports 53 establishments in the Chelsea neighborhood alone, and 1098 in the entire city. Wow! A dry cleaning spot, in a shored-up building. 3. There's building renovation everywhere. Scaffolding, detours, and walk-arounds on every block. Why? We asked Lei. "New York is a pedestrian city. 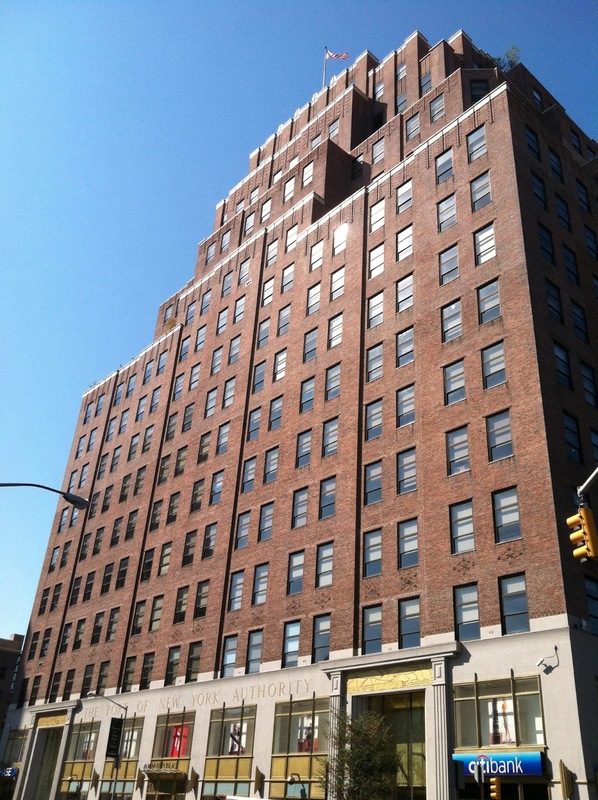 Building owners are required by law to maintain their buildings." 4. We didn't see one hot dog cart! Where did they go? 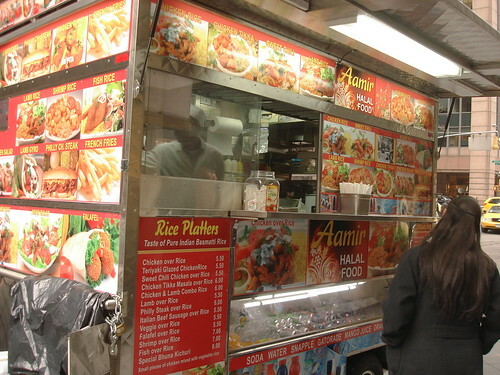 Instead, we saw many Halal (Middle Eastern) food carts, such as this one. Six in the Chelsea area and 131 total in Manhattan, according to Yelp. We didn't have time to try the food, though -- next time for sure. Considering this was mainly a business trip, we did quite a bit in a few days! There were surprises at every turn. •maybe enter the Saturday Night Live ticket lottery. Thinking of a trip to the Big Apple? Do it! There's so much to see and do, just like they say. NYC is a cosmopolitan city that's abuzz 24/7. So exhilarating, and most definitely worth your while. P. S. A big shout-out to Hawaiian Air, with its direct flight from Honolulu. To and from were smooth and relaxing, and the price was right, with meals included. You can sign up for their newsletter to keep up with unadvertised low fares and special deals.